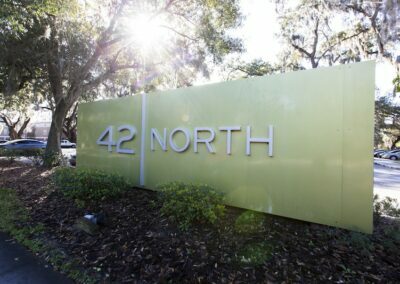 The Verge, built in 1999, was the eleventh acquisition for Campus Advantage’s programmatic joint venture with a large state pension plan. 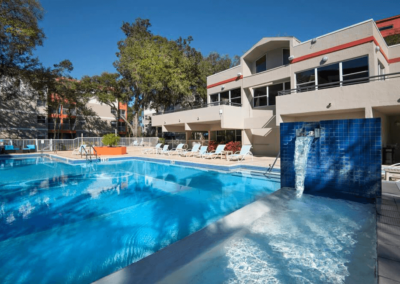 The Property is a purpose-built student housing community in Orlando, FL, located one mile from the University of Central Florida campus, consisting of 312 units and 930 beds. 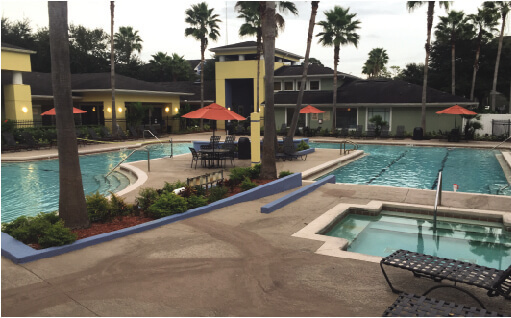 The Property offers one-, two-, three- and four-bedroom apartments and is served by the University shuttle service. 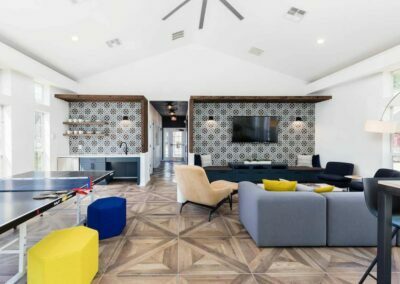 At the time of acquisition, The Verge offered amenities including a resort style swimming pool, grilling area, 24-hour fitness center, volleyball, tennis and basketball courts, and 24-hour access to the computer center and game room. 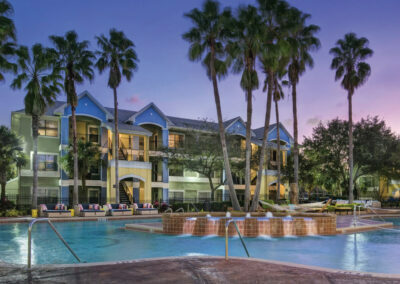 This asset was historically very highly occupied, but at the expense of maximizing rental rates. 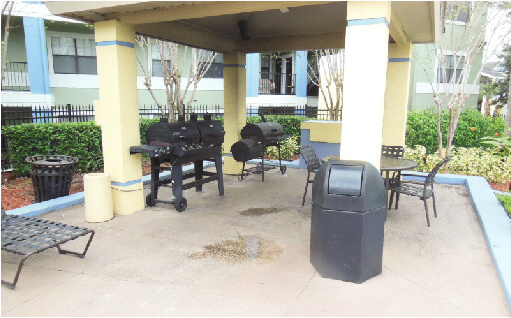 Campus Advantage sought to renovate the property to drive revenue, provide better use of the space and amenities for the residents, improve the property clientele and reduce bad debt, and maintain the historically high occupancy the property had achieved. In addition, Campus Advantage identified unit upgrades that would provide long term utility savings for the property (common area) and the residents (units). 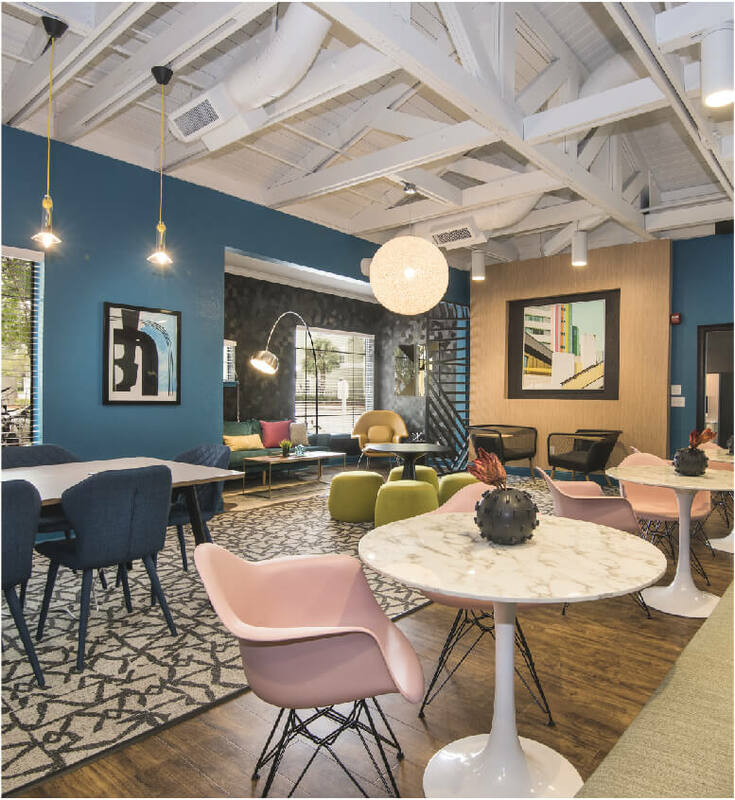 Working with Kelle Contine Interior Design and Integrity Property Solutions, Campus Advantage made approximately $6M in capital upgrades. 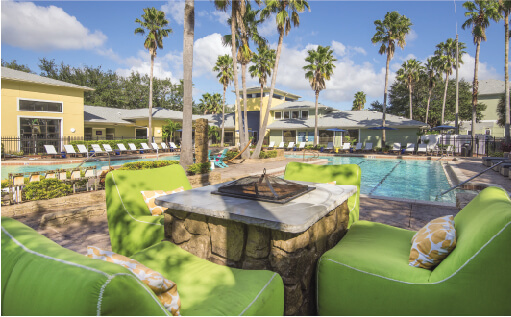 Exterior upgrades included a total roof replacement, addition of vehicle and pedestrian gates, installation of LED lighting in breezeways, light poles and wall packs, and landscaping enhancements. To meet the needs of today’s students, several amenities were repurposed. An existing outdoor basketball court was converted to a new enclosed, club-sized fitness center. The movie theatre was converted into a new fitness-on-demand space with spin bikes, medicine balls and yoga equipment. 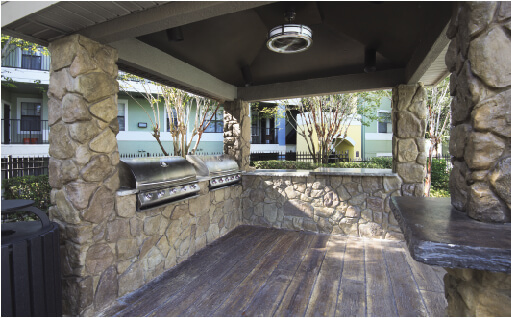 The pool area was enhanced by resurfacing the deck, eliminating a dated fireplace and replacing it with a custom-built fire pit, along with the addition of an outdoor kitchen. In addition, the IT infrastructure was upgraded with new wireless radios throughout and increased bandwidth, providing much quicker speeds and wireless access to all residents. Unit upgrades included installation of faux wood flooring in the common areas and bathrooms, replacement of bedroom carpet, all new appliances, addition of faux wood blinds to the common area, upgraded LED lighting throughout the unit, new framed-in mirrors and lights in the bathrooms, granite countertops with undermounted sinks in the kitchen, new bathroom counters, sinks and faucets, and new HVAC units and thermostats in every apartment. In-place average effective rents were $591 for the 2015/2016 academic year when the property was acquired. Although renovations were only just beginning, The Verge grew rents by 5.9% for the 2016/2017 academic year, compared to 1.8% for the previous academic year achieved by the seller. 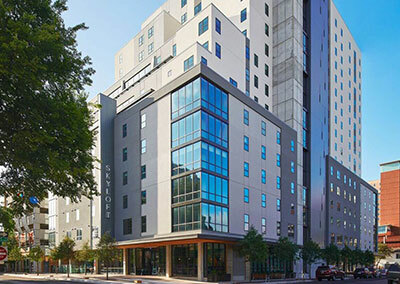 Renovation premiums were fully realized with lease-ups for the 2017/2018 academic year, achieving an average rent of $702, a 20% increase from the pre-renovation rates. The occupancy rate was 99% for the 2015/2016 academic year when the property was acquired. Post-acquisition, The Verge reached 100% occupancy for both the 2016/2017 and 2017/2018 academic years. As of January 2018, The Verge is 20% ahead of the prior year’s pre-leasing velocity and tracking for an additional 4.6% rent growth. 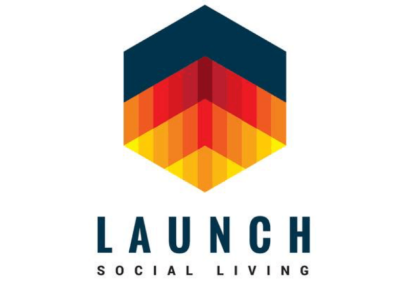 Property survey results indicated a 30% increase in resident satisfaction with their accommodations, and the Net Promoter Score for the property (likelihood to recommend the community) improved to 81% post-renovation. The installation of exterior LED lighting resulted in a 20% reduction to common area electric expense. The replacement of the HVAC units and the installation of LED lighting to unit interiors reduced unit utility expense by 40%. From 2016 to 2017, the overall NOI grew by 32%.